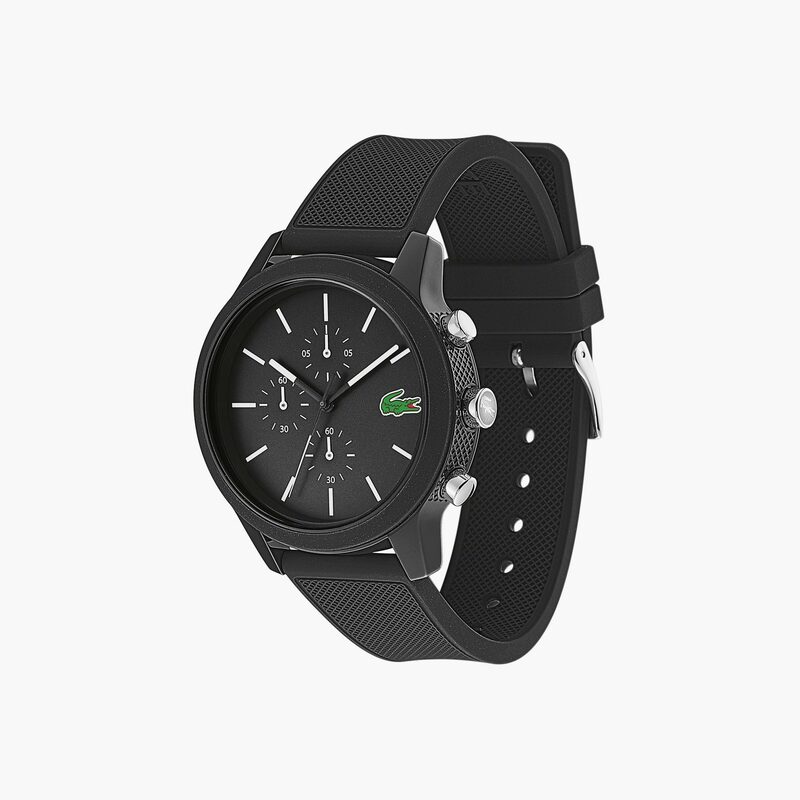 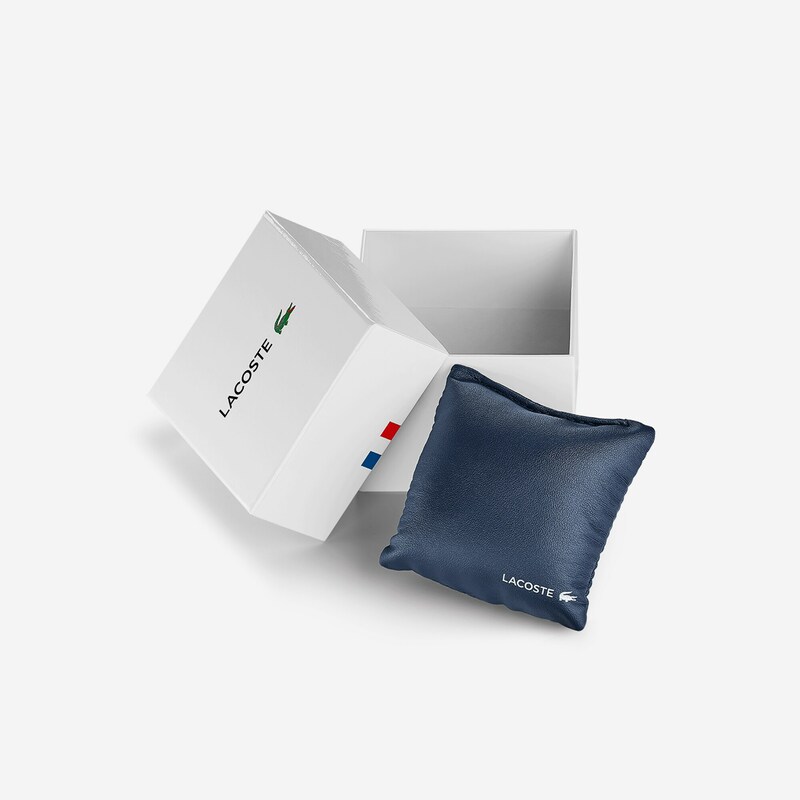 Applauding the iconic status of the L.12.12 Polo shirt, the Lacoste 12.12 watch family champions sporting style. 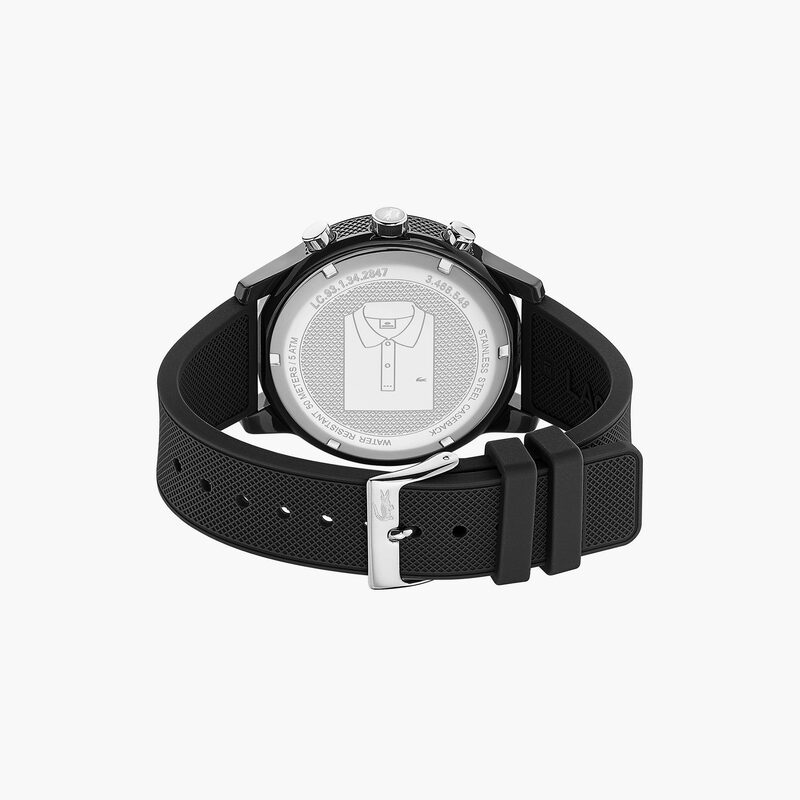 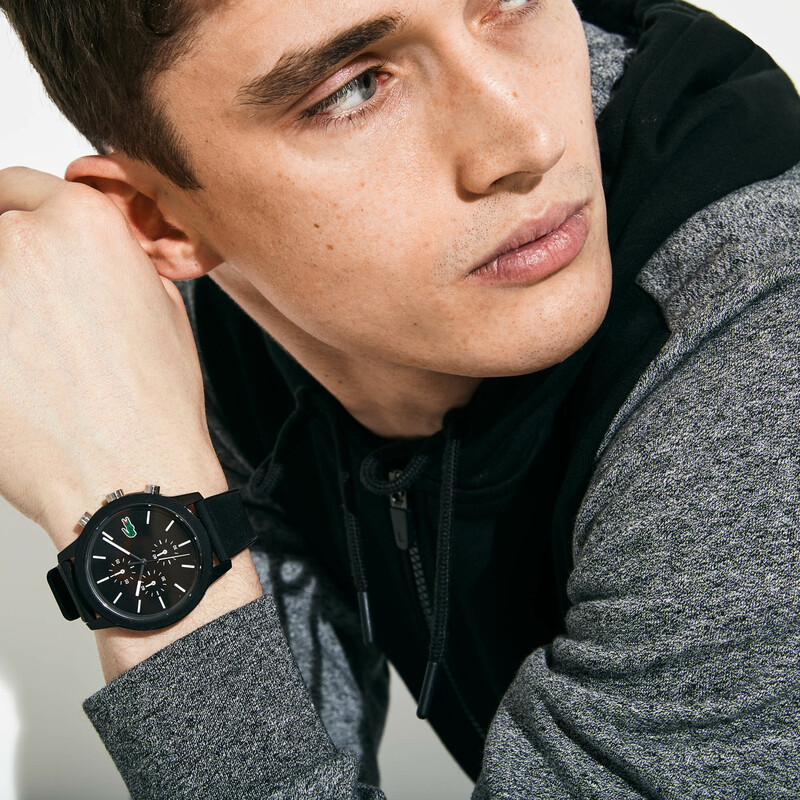 A modern case and dial design salute the brand’s history via petit piqué textured silicone straps and a graphic of the famous shirt on the case back. 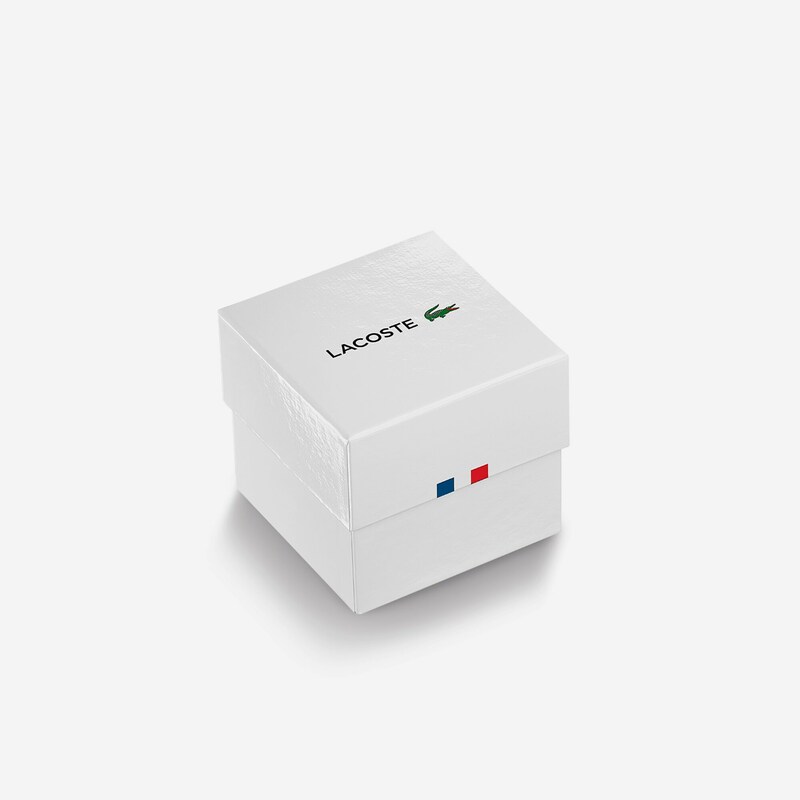 Boldly monochrome, each piece has the makings of another true Lacoste classic.